This PDF 1.4 document has been generated by / iText 2.0.8 (by lowagie.com), and has been sent on pdf-archive.com on 17/03/2018 at 01:54, from IP address 142.3.x.x. The current document download page has been viewed 121 times. File size: 1.5 MB (55 pages). information on how to use panels, and managing design documents. A project in Altium Designer consists of links to all documents and setups related to a design. A project file, eg. schematics or PCB, for example, are updated in the project when compiled. The process of creating a new project is the same for all project types. We will use the PCB project as an example. this tutorial we will create a blank PCB and add it to the project as well. File Name field and click Save. 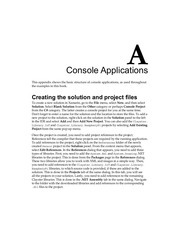 appear linked to the project in the Projects panel, under the Source Documents folder icon. location are linked using absolute referencing. filename in the Projects panel, and select Save to save the project. range of new buttons, new toolbars are visible, the menu bar includes new items and the Sheet panel is displayed. reposition the panels and toolbars or customize the menu and toolbar commands. menu name). Subsequent menu items will also have accelerator keys that you can use to select that item. (to call up the DeSelect menu directly) followed by the S key. 1. From the menus, choose Design»Document Options to open the Document Options dialog. Standard Styles field of the Sheet Options tab of the dialog. 3. Click OK to close the dialog and update the sheet size. 4. To make the document fill the viewing area, select View»Fit Document. 5. Save the schematic sheet by selecting File»Save (shortcut: F, S). Next we will set the general schematic preferences. 1. Select Tools»Schematic Preferences (shortcut: T, P) to open the schematic area of the Preferences dialog. This dialog allows you to set global preferences that will apply to all schematic sheets you work on. hand side of the dialog). Click OK to close the dialog. user-configurable and limited only by the available memory on your computer, configure it in the Schematic Graphical Editing page of the Preferences dialog. figure above. This circuit uses two 2N3904 transistors configured as a self-running astable multivibrator. add the libraries you will need for the tutorial circuit. First we will search for the transistors, both of which are type 2N3904. with Panels article to learn more about configuring and controlling panels. For the first Filter row, the Field is set to Name, the Operator set to contains, and the Value is 3904. The Scope is set to Search in Components, and Libraries on path. Search installed or all available libraries for components. library has symbols for the available simulation-ready BJT transistors. component Filter in the panel to quickly locate a component within a library. Search results for components with the string 3904 in their name. schematic sketch shown above for the general layout of the circuit. 1. Select View»Fit Document (shortcut: V, D) to ensure your schematic sheet takes up the full window. 2. Display the Libraries panel (by clicking on its tab on the right of the workspace, if it is pop-out mode). panel to make it the active library. the text &quot;3904&quot; as part of their Component Name field will be displayed. This file has been shared by a user of PDF Archive. Document ID: 00746005.